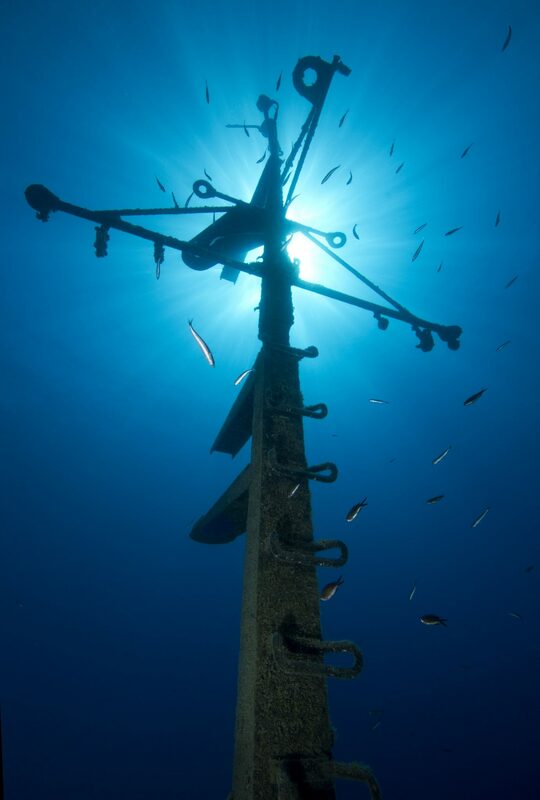 A morning out is ideal to visit these two ship wrecks. 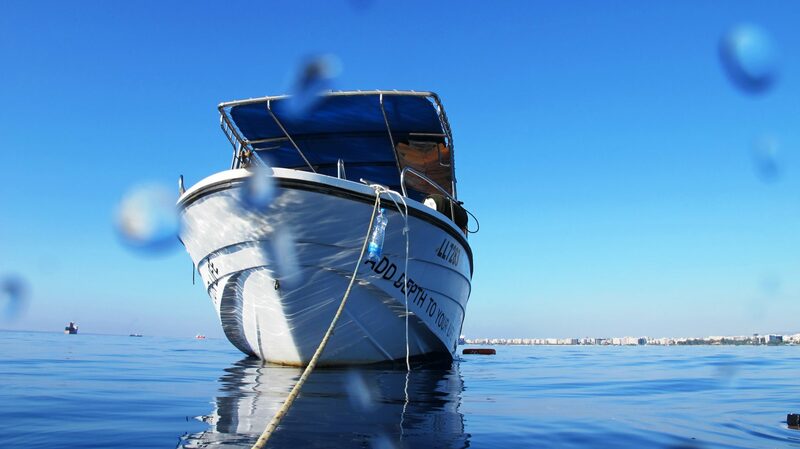 Only 10 minutes cruise using the Crest Dive boat from our base and you are ready to jump into the incredible water. 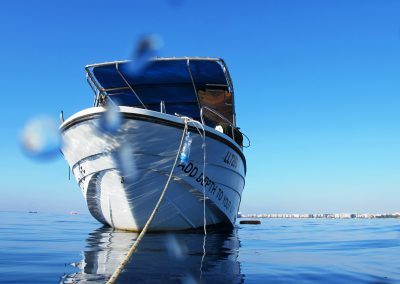 The fishing vessel Constandis and the vessel Lady Thetis were put down on the 22nd February 2014 by the Cyprus Fishery Department to create an artificial reef along the Limassol Coast. 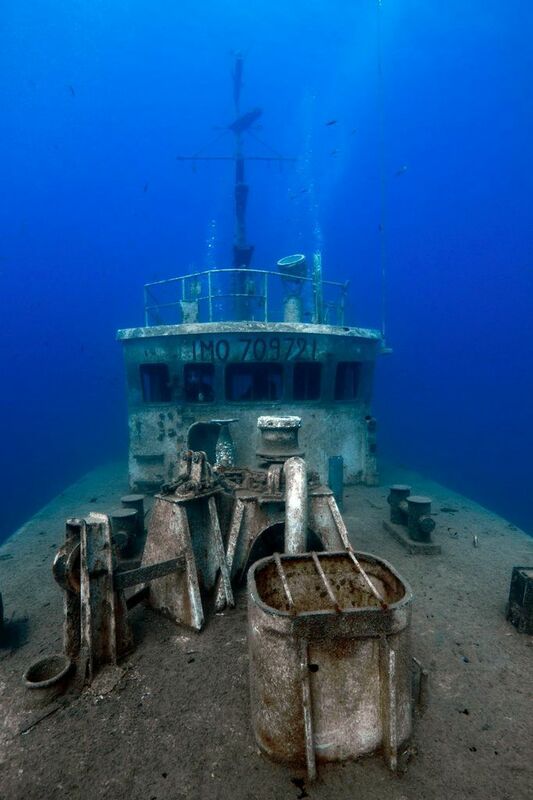 Perfect dives to include as part of your wreck specialty. 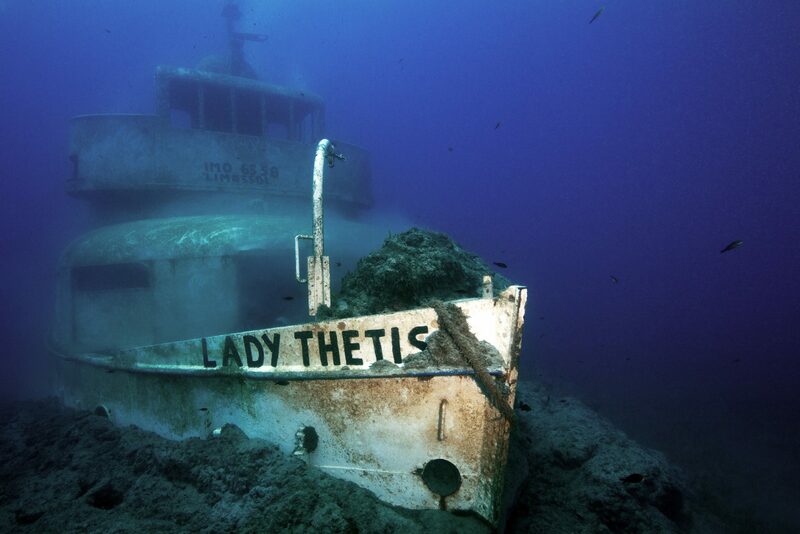 The Lady Thetis was a recreational passenger boat and has a length of 30 meters, a breadth of 8 meters and lies on a sandy bottom at 19 meters. 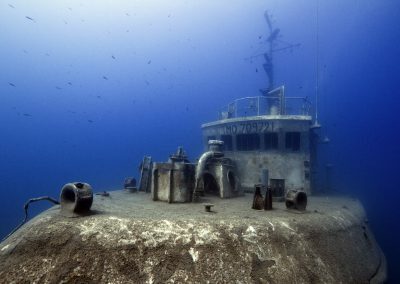 You can still see the dining tables on the top deck and penetrate the captains’ bridge and the engine room. Large groupers, sea bream, octopus and the occasional turtle enjoy this wreck. 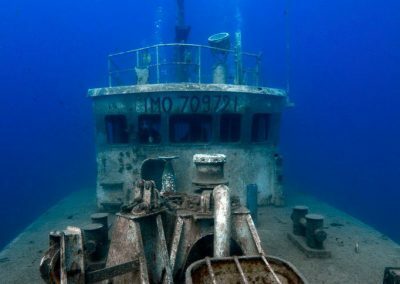 The fishing vessel Constandis has a length of 23 meters, a breadth of 8.6 meters and lies on a sandy bottom at the depth of 23 meters. 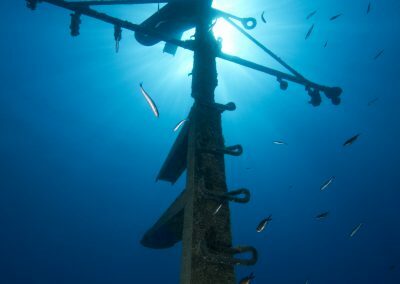 Constandis has an open engine room, and it is very easy to penetrate and see the bottom trawling equipment that is still in place.